CITY police director Nelson Aganon booted out nearly all of the officers assigned at the Cogon police station after he found the precinct almost unmanned during an unannounced inspection. Ordered relieved from the Cogon police station were PO1 Chris Lanzadera, PO2 Lorgen Ysalina, PO1 Elnes Concha, PO1 Eldeponso Moralidad Jr., PO3 Bebedito Casing Jr., PO1 Reynaldo Daisong, PO1 Ramel Murro, and PO1 Alfie Tagapulot. They were given new assignments and ordered to man an outlying police station in Lumbia effective May 4, said city police spokesman Supt. Mardy Hortillosa. Officers in Lumbia were then ordered to replace their counterparts in the Cogon police station. But Senior Supt. Aganon was not as unforgiving when it came to Chief Insp. 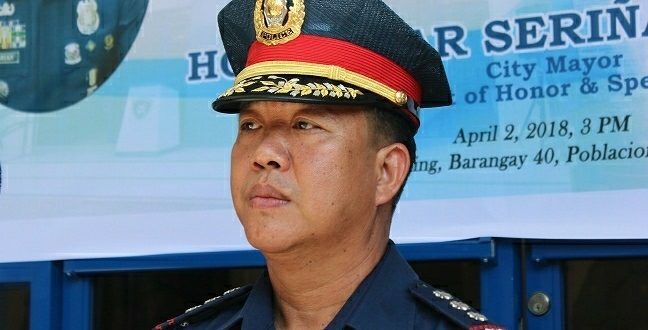 Harvey Abellanosa, the commander of the Cogon police. According to Hortillosa, Abellanosa was given another chance and would stay as the precinct’s commander. Like his eight subordinates, Abellanosa was also not in the Cogon police station when Aganon carried out the surprise inspection on Thursday morning. The only officer Aganon found in the police precinct was Abellanosa’s deputy, Senior Insp. Bresma Ruth Townin. Hortillosa said Aganon’s order to send the officers from the urban center to the outlying village of Lumbia was a disciplinary action. “Imbis alas 5 sa buntag sila morelibo, gikan sa night duty, alas 6 na lang wala pa sila makatunga,” said Hortillosa. An angry Aganon then called police station commanders in the city to a meeting and warned them that they would suffer the same fate the next time he finds an unmanned police precinct in the city, said Hortillosa. When Aganon assumed the post as city police director in April 21, he ordered officers in the city to report for work early, and to be visible in the streets.